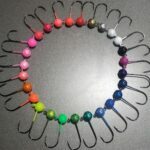 These beaded schlappen jigs are tied on a lead head jig to provide the extra color that one may desire. Tied on a 1/0 Matzuo Sickle hook or a 1/0 Owner hook. Select jig size, hook and overall color scheme. 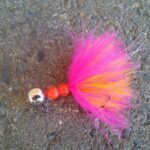 Beaded schlappen jigs that are palmered on the hook shank provide more variations and effects than a standard marabou jig. By blending or layering different colors, different sized feathers, number of beads or number of feathers the number of variations are too numerous to list. Contact us for custom colors. Feathers can be blended or layered for different looks. 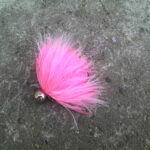 These large jigs are perfect for chasing any salmon species. They work there best when presented by suspending them under a float. Medium & Large brass beads are nickel in color. 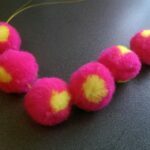 Small brass beads are brass in color. Medium & Large brass beads are nickel in color. The small brass bead is brass in color. Painted lead head jigs are available upon request. 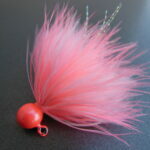 Marabou is a great all around material used for many styles of salmon and steelhead jigs. 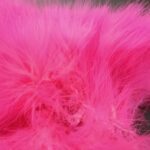 This material is strung together at the base of the feather and comes in 1/4oz packages. Available in 11 different colors. Everyone loves some stickers. This vinyl decal is 6″ long x 2.5″ tall and perfectly oval. Get 1, get 5, get 10; put one on your boat, your vehicle, your tackle boxes, your bait fridge, your water bottle, your growler, you can even put them on your kid. 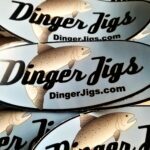 Our favorite place to put them is on a Gamakatsu G3600SF Jig box filled with Dinger Jigs! 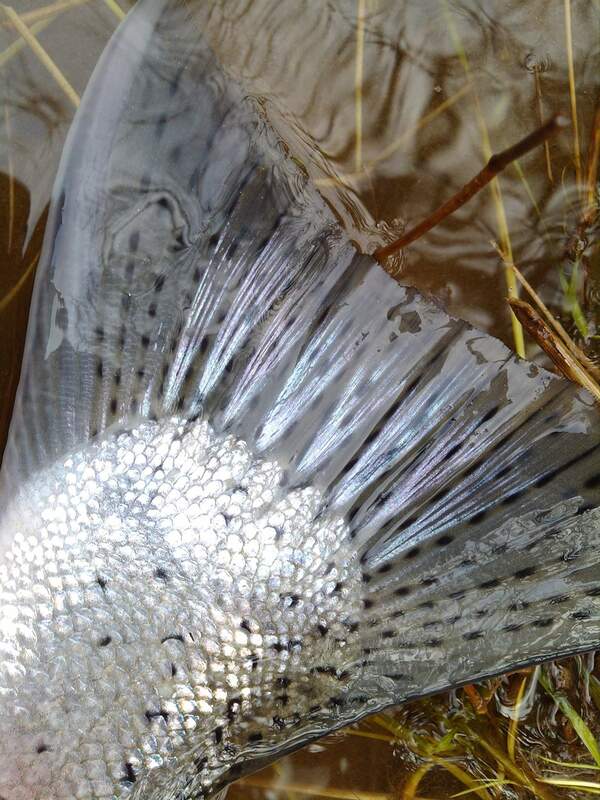 After catching lots of fish with Dinger Jigs you will eventually have some eggs to cure and store. These plastic 2 L (67oz) containers are square with water tight lids. 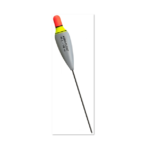 They are great for curing large batches of salmon/steelhead eggs, have a large opening big enough to get your whole hand in without struggle and stack very well in the fridge/freezer. 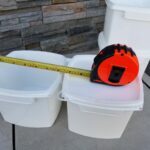 Each unit comes with 1 container & 1 lid. These are ‘guide approved’.